We are offering Mild Steel Tandoor to our valued clients. Our Mild Steel Tandoor is fitted with wooden top which is visual delight. Our Mild Steel Tandoor is fabricated with high grade mild steel that ensures efficient performance at low operating cost. 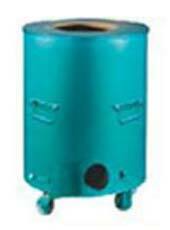 Further, we offer Mild Steel Tandoor at reasonable cost.